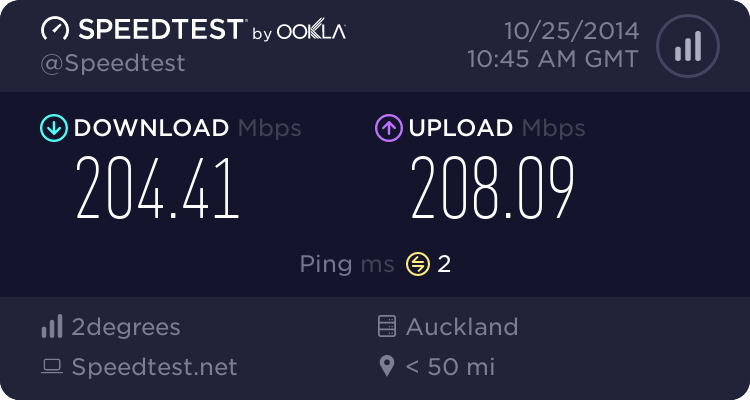 I posted here a while back that I had an issue with the VDSL slowing down over time. Now the chorus cabinet is about 1km away. Could it of vaporized any "water" in the copper line and cause a better connection? Flick me a DM with your details, i'll take a peep. Looks like something has gotten damaged at a skim though. Is your router connected to a UPS? The thunderstorm might have knocked out the power to everyone else on that Cabinet. And you then get a much better sync rate, due to no interference from the other lines in the same cable. Maybe the thunderstorm caused everyone's lines to resync at the same time. Which might have allowed some lines to resync with vectoring enabled, that were not previously vectored. Aredwood: Is your router connected to a UPS? The thunderstorm might have knocked out the power to everyone else on that Cabinet. And you then get a much better sync rate, due to no interference from the other lines in the same cable. In present day, have not had rain for months. realized download link speed was so slow, which made me think about last time.